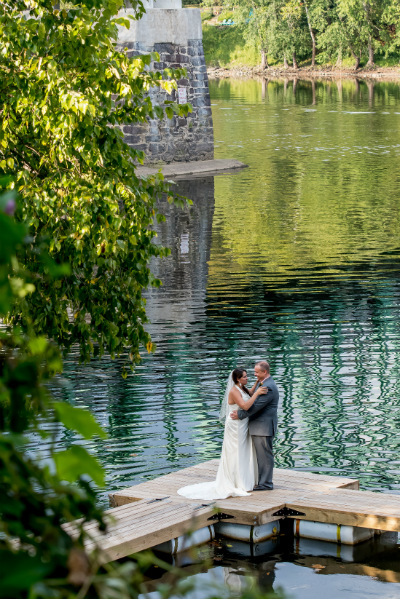 Congratulations, now you get to plan the perfect wedding and what better place for a magical wedding than on the Delaware River? 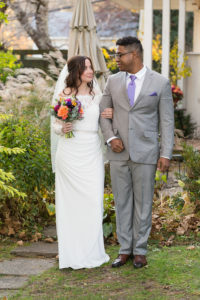 From the grand affair to the intimate gathering, or elopement, the Bridgeton House and beautiful Delaware River offer the perfect setting for your New Hope wedding, shower, party or private affair. Our New Hope wedding venue can accommodate small New Hope weddings and events of 30 or less on the premise. 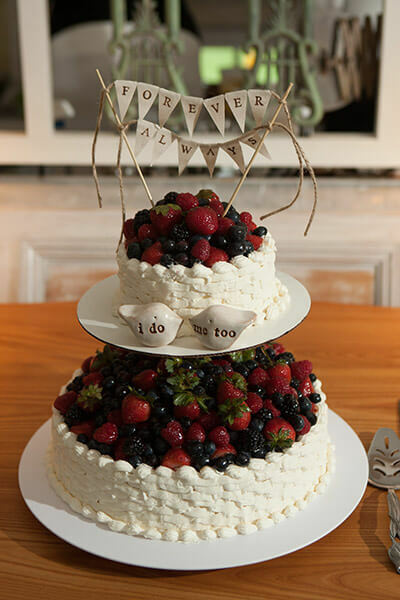 Perfect for that memorable affair! Details & Restrictions: This package must include rental of the Boat House, River Suite and Room #1. Guests may have 1 officiant and 1 photographer present for their ceremony and will need to contract with officiant and photographer independently. Parking at the inn is limited to 1 vehicle per room rented – vendors and non-lodging guests may be asked to park off premise. Check-in begins at 3 pm. If you are planning your ceremony on your day of check-in, we recommend you plan for a 4 pm or later start time. Tax and gratuity are not included in quoted prices. Grand Affair wedding package pricing: Inn rental starring at $4,500. Chair rental additional. There are several area restaurants that offer great venues for your dinner reception – we are happy to make suggestions. Brideton House Event Details & Restrictions: We do require that you reserve all 12 lodging rooms and adhere to our 2-night minimum on weekends and our 3-night minimum on holiday weekends. You may reserve a single night for a Sunday – Thursday evening wedding (4:00 pm or later) on non-holiday weekends. Guests may choose to have the ceremony on the riverside terrace (weather permitting) in the dining room or in the Penthouse. Guests may have 1 officiant and 1 photographer present for their ceremony and will need to contract with officiant and photographer independently. Tax and gratuity are not included in quoted prices. We are happy to recommend other area venues who can assist you in creating your dream Pennsylvania destination wedding or event. 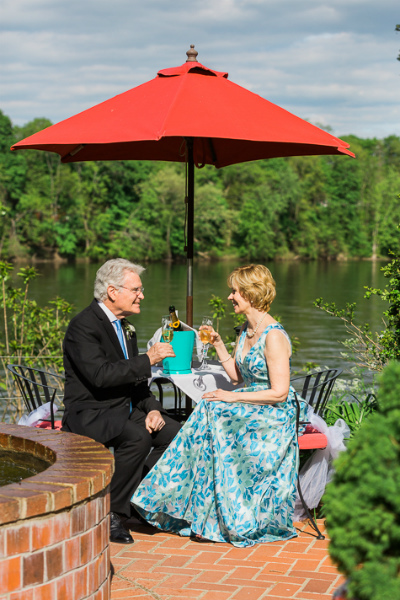 From formal garden affairs, to river boat receptions, and historic barn celebrations, your guests can enjoy our New Hope bed and breakfast as a base for an unforgettable Bucks County experience, with the Delaware River as a backdrop. We also specialize in honeymoons and lodging for members of the wedding party and guests, should your event be held elsewhere. At Bridgeton House, we specialize in creating your dream destination event. We would love to speak with you to learn your needs and requests so that we can create a package just for you. Please contact Diane Marshall, our event coordinator, for more information and to start planning your event. We look forward to welcoming you and your guests to Bridgeton House. View our wedding photo gallery or contact us to plan your dream wedding today!